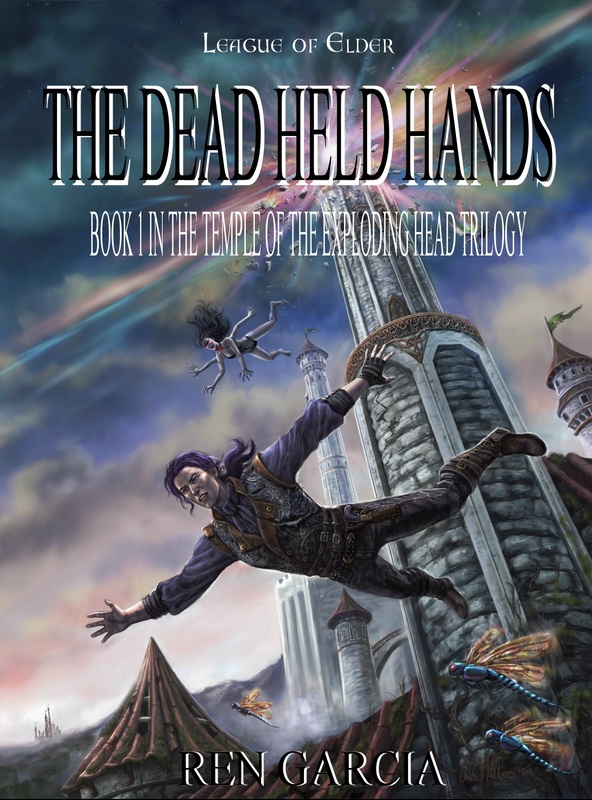 THE DEAD HELD HANDS (TDHH) is the first book in the Temple of the Exploding Head trilogy. The title of this book went through quite a few incarnations before I finally settled on TDHH. It started as Lady Sammidoran of Monama, but most people thought it fell rather flat. “What’s a Mo-nama?” people asked. Slipping into a Dr. Who mode, I started a long line of similar titles: Sorrow of the Monamas, Elegy of the Monamas, Dirge of the Monamas–you get the picture. Eventually, I put it to a vote on facebook. The very last title that I threw in, mostly on a lark, was The Dead Held Hands, and that’s the one everybody liked, so I said what the heck. The Dead Held Hands is due out in March, 2011, from Loconeal Publishing.